We tweet and upload pictures about our chalet regularly! 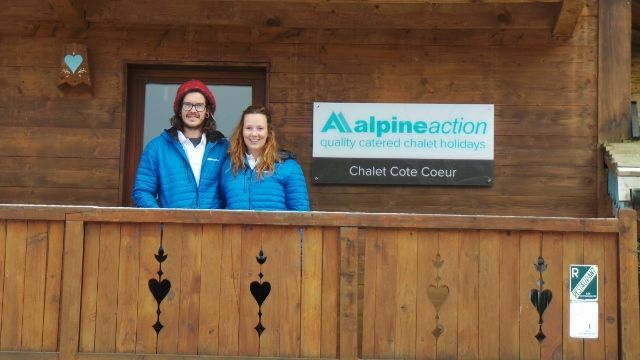 Click the links below to have a look whats going on at Chalet Cote Coeur in La Tania! I love hosting dinner parties and waiting on people! Media & Marketing degree, Barista, restaurant experience, duty manager, front of house waitress, field centre host, kitchen hand, hostel host on Santorini island, café manager. 10 course degustation meal at the black swan. So far – our chalet! We have been travelling for 2 years – that’s an achievement!